Hip Osteoarthritis is a degenerative condition that causes a mechanical breakdown of the hip joint. It is the third most likely joint to suffer osteoarthritis after the hand and the knee. It is more common in women than men. The exact cause of hip osteoarthritis is unknown but ageing is a factor as the cartilage thins and becomes less flexible as we grow older. It is most often experienced after the age of 45 and is most common in the 60-plus age group. Experts believe that up to 50 per cent of the root or hip osteoarthritis is hereditary with factors including poor bone alignment, congenital hip dislocation, rheumatoid arthritis and metabolic disorder. Athletes who have participated in high impact sports over a long number of years have an increased risk of developing the condition. The most common symptoms are decreased range of motion and hip pain although the levels of pain can be subtle and easy to dismiss. Patients experience an aching and stiffness in the groin, buttock or thigh with others feeling pain in the side or back when weight goes through the hip. This can travel down the leg to the knee. There can be discomfort when getting out of bed in the morning and sporting activities can be painful. In some cases, the the joint can become swollen resulting in surrounding muscles becoming weak. A range of diagnostic tests including X-rays and MRI scans is the best route to confirm hip osteoarthritis and allow consultants to ensure the pain is not mimicking other conditions. The condition’s progress can be slowed but not reversed. Weight loss and muscle strengthening help the hip joint and the emphasis is on a getting a diagnosis early to reduce the amount of long term damage. An extra 10lbs body weight can result in the hip having to deal with an extra 60lbs of pressure with each step. The pain can be treated with steroid injections to reduce the swelling and alleviate stiffness and hyaluronic acid injections that provide lubrication for the hip join. The relief lasts for six to 12 months and allows the patient to embark on a weight loss and/or physical exercise programme. Surgery is an option, including the minimally invasive arthroscopy to remove loose pieces of cartilage or bone spurs, an osteotomy to align bones and reduce friction or a total hip replacement, known as an arthroplasty. To ask a question about hip osteoarthritis or to book an appointment, contact our specialist team available Monday – Friday 8am – 6pm and on Saturday from 9am – 1pm. 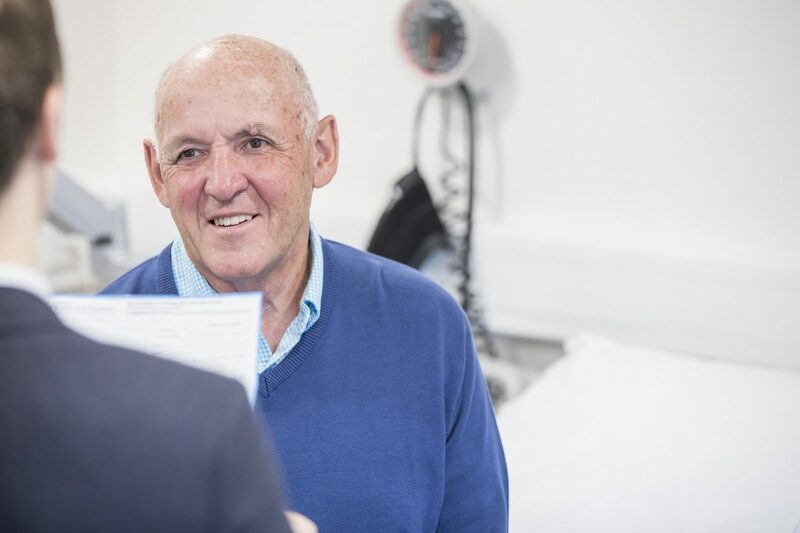 Our hip specialists team have a dedicated and caring approach and will seek to find you the earliest appointment possible with the correct specialist for your needs.